Inez is a senior director in our San Francisco office. 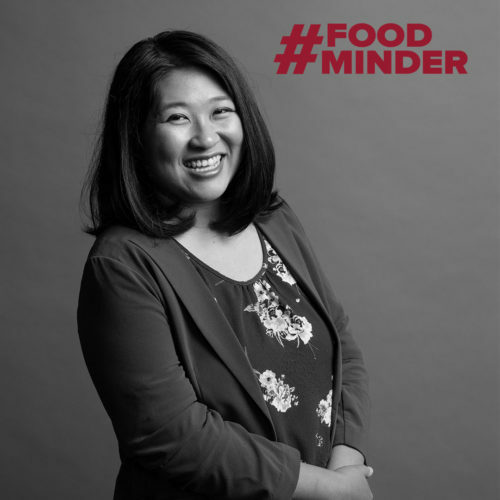 In her current role, she supports industry and nutrition communications for our client teams. Inez earned her bachelor’s degree in communication studies at Chapman University. Outside of the office, Inez can be found cooking and exploring scenic places with her dog, Pretzel. What is the most surprising thing for people to learn about working at a communications firm? The food industry is dynamic and ever-evolving, which means there’s always an opportunity to learn and improve, and use that shared knowledge to help our clients in ways that are meaningful and make an impact. Learn Chopin’s Fantaisie-Impromptu. I should probably start by re-learning to play the piano. Name a career achievement that you’re most proud of – and why? I have a couple. The first: working closely with an LA Times reporter on an exclusive about my client cracking the code on domestically growing and nationally marketing a crop that, until then, had been almost exclusively imported. The final result was a beautifully told story that led to subsequent coverage in CNBC and AP. The second: creating an inspirational multi-day experience for chefs with the goal of increasing usage and visibility of my client’s product in restaurants and foodservice establishments – and then seeing it come to life when it was incorporated into new menu items in the months that followed. Japanese cuisine, because it’s simple and understated, but focuses on technique and the quality of ingredients to create something delicious. Also, ice cream – especially surprising flavor combos that balance different tastes and textures. And cheese, because cheese.